Declutter your thoughts in 2018! Clear thoughts start with clear spaces! 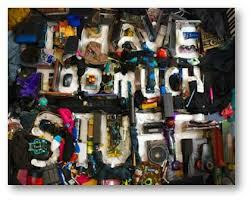 Studies show the more clutter in your house the more clutter in your thoughts. The attic is that place for all of us that no one can see, but is crammed full of things we never look at or utilize. As the warmer days start coming, consider that it is not yet HOT, making it the best time to jump up there and get rid of what you don't need! And most of the time a few trash bags won't do! Plan ahead on how many things you will get rid of and consider your options to make it the easiest, quickest Saturday of your life. Ask yourself, is this really safe to hand this down to my child or will it be rotted by then? By de-cluttering those hidden spaces in the house, we are merely disposing of possessions that we do not need so our thoughts are as clear as they can be! Keep memories in your heart and keep clutter in the dumpster! Call us today to schedule your dumpster rental!